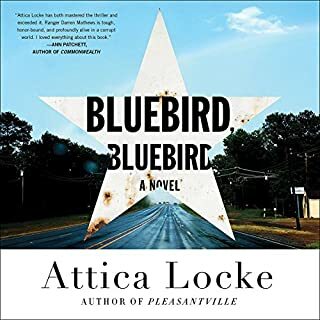 After listening to Attica Locke's previous novel Pleasantville, I eagerly used a credit to purchase Bluebird, Bluebird. Bluebird, Bluebird does not disappoint! The historical context was definitely a plus, and I love that the protagonist is not only a Texas Ranger, but comes from a landed, well-established Black family. The characters' flaws give the book so much more flavor. I'm looking forward to listening to &amp; reading the sequel. Returned to Earth, Ellen Ripley learns that a colony has been established on LV-426, the planet where the crew of the Nostromo found the original Alien. But contact with the colonists has been lost, so she must accompany a unit of colonial marines to discover their fate. And to destroy any Aliens found on the planet known as Acheron. 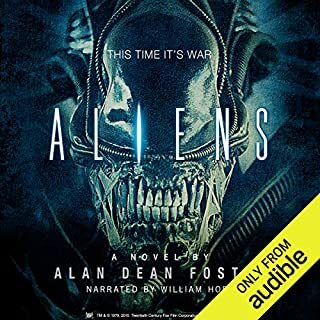 This is a groundbreaking sequel by science fiction legend Alan Dean Foster, with the wonderful characters and rapid-fire action that make Aliens one of the greatest science fiction films of all time. "Get away from her, You." - Really?! Love the novelization &amp; audiobook! I love listening to this audiobook! The reader did a great job with portraying the different characters. Also the toning down of the language doesn't diminish the story--still action-packed with a good amount of thrill. I've listened to every one of the Dresden Files with the exception of Shadowed Souls. I loved Storm Front. 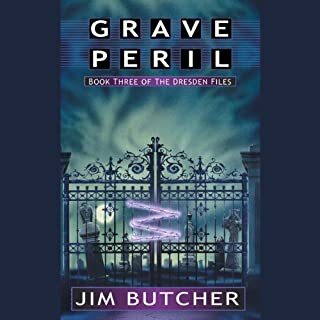 It was interesting enough to get me into the series, but Grave Peril is the heart of the series. You get to see Harry's vulnerability and soul of full display. Eight centuries ago, the first Knight of the Word was commissioned to combat the demonic evil of the Void. Now that daunting legacy has passed to John Ross - along with powerful magic and the knowledge that his actions are all that stand between a living hell and humanity's future. Then, after decades of service to the Word, an unspeakable act of violence shatters John Ross's weary faith. A great sequel to "Running with the Demon". I have listened to and enjoyed the previous audio version of this book (George Wilson), but was disappointed that only Running with the Demon was available on audible--until now. At first listen, the multiple pauses of the new reader was extremely distracting. I actually changed the playback speed to 1.25x to counteract it. He does an adequate job once I got past the first 12-15 minutes with the exception of how he pronounced O'olish Amaneh's name--that was cringeworthy. The three books in this series are some of my favorites. I've read them several times since being in my twenties. Nest Freemark, her grandparents, and John Ross are very relatable, and their storylines are enjoyable. Despite my initial misgivings, I would recommend this book, and it's prequel, Running with the Demon. I hope audible will make the sequel, Angel Fire East, available too. Finally, the knight Sparhawk had come to possess Bhelliom, legendary jewel of magic that alone could save Queen Ehlana from the deadly poison that had felled her father. Sparhawk and Sephrenia, ageless instructor in Styric magics, made haste to free Ehlana from the crystalline cocoon that had preserved her life while they desperately sought a cure. What did you like best about The Sapphire Rose? What did you like least? I have loved this series for years. 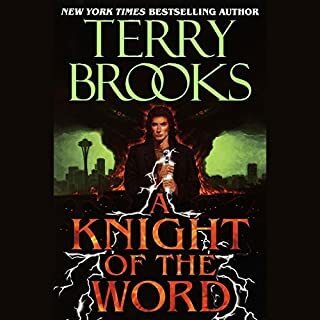 Sparhawk, Vanion, Sephrenia, Kurik, Kalten, and the champions of the four orders worth reading about in this series and this following one. What was one of the most memorable moments of The Sapphire Rose? Would you be willing to try another one of Greg Abby’s performances? NEVER!!! I listened to a previous recording of this books through the library for the blind and visually handicapped. That narrator's pronunciations of characters and places was much more preferable. Hearing him say Vanion, Kalten, Platime, Ulath, and Chyrellos is maddening. Since I used a coupon, I can't return it. I wish I'd listened closer to the preview. 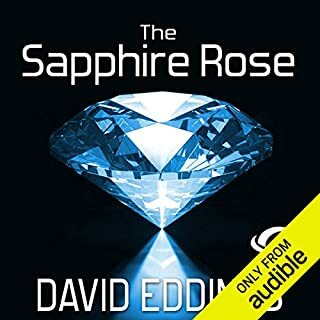 Could you see The Sapphire Rose being made into a movie or a TV series? Who should the stars be?